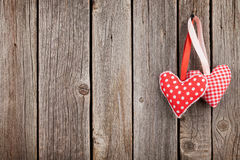 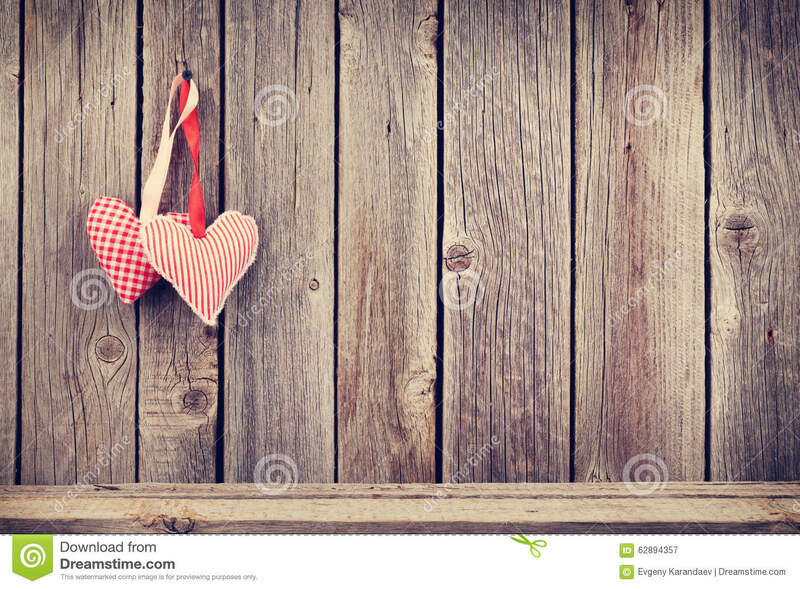 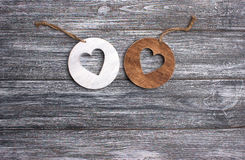 Two Valentines day hearts on rustic wooden wall. 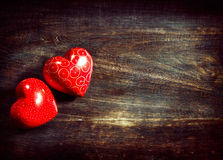 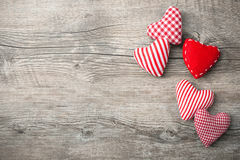 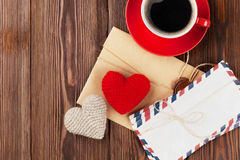 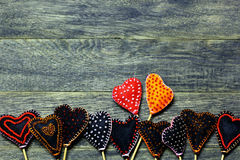 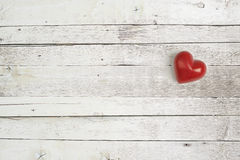 Valentines background with two hearts ornaments on a wooden table Two hearts in the middle of wooden background with blue and white paint Two wooden hearts placed nicely on a vintage wood background. 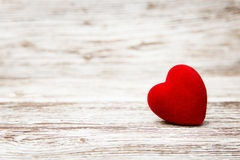 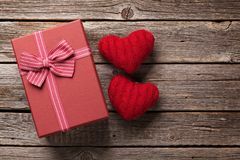 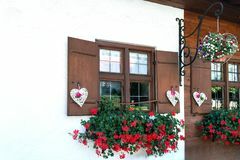 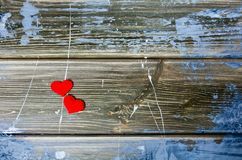 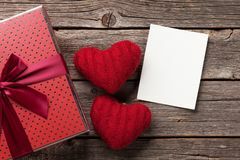 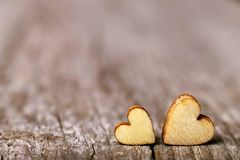 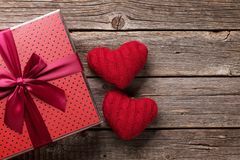 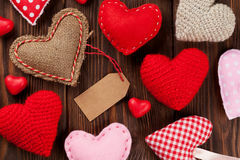 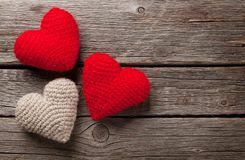 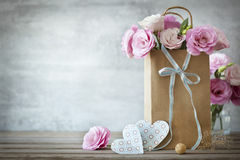 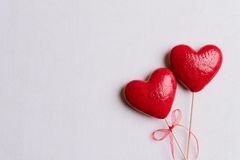 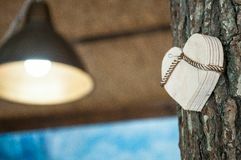 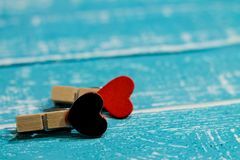 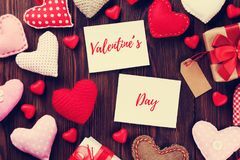 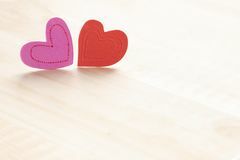 Copy space, love concept The windows of the wooden house are beautifully decorated with white hearts and flowers Wooden heart on a wooden background Blue wooden background with clothespins lying next Two round slices gray wooden background. 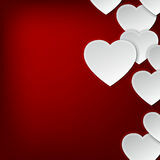 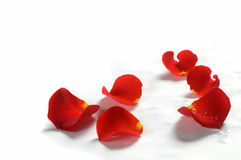 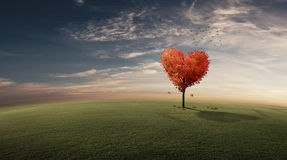 Valentines day and love concept. 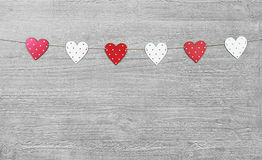 Two handmade red hearts with red ribbon on white wooden background Bottom frame border of Handmade felt hearts on dark old wooden background.